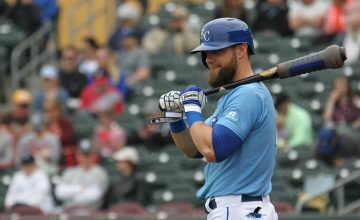 Welcome to the last infield spot on our 2019 Position Preview series. If you haven’t already, go check out the catcher, first base, second base, and third base previews. Shortstop is surprisingly full of talent this year. It always seemed that waiting on the position, or any middle infielder for that matter was a recipe for disaster. However, as we’ll see later, owners can now wait and still end up with a startable shortstop with the 12th man off the board. Like any position, waiting longer for your shortstop means accepting any (normally many) flaws that come with drafting in the later rounds. But in the early rounds, owners will have their pick of several five-tool players like Fransisco Lindor, Trevor Story, and Carlos Correa. Who knows? Maybe Manny Machado will sign somewhere that will let him play shortstop and he can keep his eligibility for next year as well. Or maybe he won’t sign for the rest of the season and we’ll find him jetskiing in Miami with LeVeon Bell. 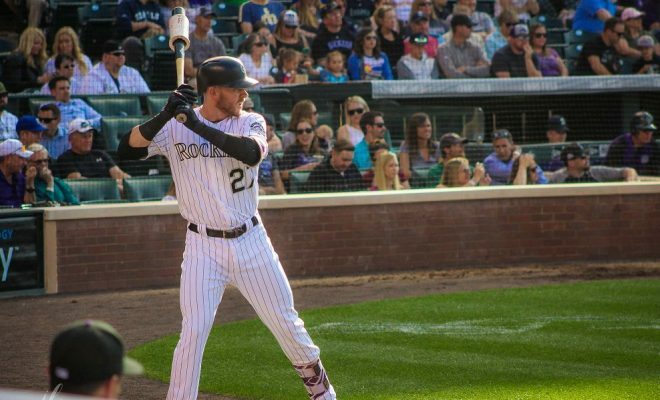 Which Trevor Story Will Show Up in 2019? Story was an absolute monster in 2018, hitting .291 and mashing 37 home runs with 108 RBI and 88 runs scored. The Rockies’ shortstop threw in 27 steals for good measure. It was a complete turnaround for Story, who only posted 24 HR and 82 RBI while hitting 52 points lower just one year prior. For the most part, the Fantasy community thinks he’ll repeat his 2018 as he’s being taken in the top 25. Some regression fear has been built into his draft price, as a near 40 HR, 30 SB shortstop should be going much higher. Story should be drafted in the top 15 if Javier Baez is going there as well. For more on Baez and his draft stock, check out the second base preview linked above. Story’s production looks to be sustainable, as he maintained his elite hard it rate (44.5 percent) while decreasing his strikeout rate by a whopping nine percent. His contact rate also spiked from jumped from 70.4 to 77.4 percent. Like Baez, Story saw an increase in HR/FB rate with a corresponding decrease in fly ball rate. Unlike Baez, Story’s 2018 FB% wasn’t a career high or out of the norm. If Story’s elbow issue from last September doesn’t linger, he could come close to repeating his power numbers this season. Colorado might limit his stolen base opportunities in an attempt to keep him healthy, but he’ll keep swinging away in one of the best hitting environments in the league. Will Corey Seager Bounce Back from Tommy John Surgery? Seager was quickly becoming one of the best hitting shortstops in the league. The Dodgers’ shortstop hit 26 home runs and drove in 100 RBI in his rookie season, all while batting over .300. Seager missed 17 games with four separate injuries in his sophomore season, greatly impacting his results. Seager missed most of 2018 after Tommy John surgery, but says he is healthy and optimistic he can return to the Dodger lineup by Opening Day. If healthy, Seager will provide a .300 batting average with 25 HR and 80 runs and RBI. Owners shouldn’t be worried about the elbow injury taking a toll, as players can generally bounce back quickly once cleared and fully healthy. Seager represents a great value pick at his current ADP (FantasyPros: 69 overall) as someone who can provide solid contributions in four of five categories. What’s With All the Depth? Speaking of Seager’s ADP, his FantasyPros consensus rank places him as the 12th overall shortstop. That’s crazy to think about and speak to how deep shortstop has become. If you can grab a 25/80/80/.300 player as the 12th player at the position and your starter, you’re doing well. Even serviceable players deeper in the draft such as Tim Anderson, Marcus Semien, and Eduardo Escobar can be had much later in the draft. 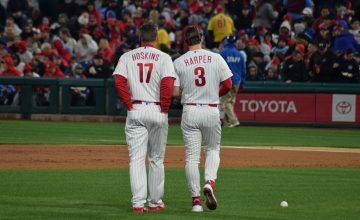 Shortstop has become a position you can wait on in order to address other positions, unlike first base, which has become alarmingly top-heavy in recent years. Not to say that you necessarily should wait. If Lindor or Trea Turner have fallen into your lap, it would be crazy not to take them. Rosario came on strong in the second half of 2018, raising his batting average by 22 points and matching or surpassing his HR, RBI, and runs scored in 27 fewer games. Most impressively, the 23-year old stole 18 of his 24 bases in the second half (63 games) of last season. Rosario comes with a ratio risk, as his impressive second half only yielded a .268 average and .302 OBP. However, the Mets have committed to improving their lineup by adding Robinson Cano, Jed Lowrie, and Wilson Ramos. More established bats in the lineup will improve Rosario’s counting stats and give him meatier pitches to face, provided he doesn’t bat in front of the pitcher. The young shortstop improved his plate discipline between his first and second years. Rosario swung at fewer pitches outside the zone and significantly improved his contact rate and swinging strike percentage. The former top prospect could improve his average to .275 if he can continue his year-to-year improvements. Peraza stands to benefit most from Billy Hamilton moving on to Kansas City, as the young shortstop will be the Reds’ leadoff hitter this season. Without Hamilton in the lineup, Peraza could have the green light on the base paths to improve on his consecutive 23 steal seasons. We know he has the speed to swipe more, as he stole 64 bases as a member of the Braves’ minor league system in 2013. The 24-year old will also have the benefit of hitting at the top of a good Reds lineup. The projected two, three and four hitters are Scooter Gennett, Joey Votto, and Eugenio Suarez. Even if Peraza doesn’t pick up the base stealing, he should score plenty of runs. Last season, Peraza saw a massive power surge, hitting 14 home runs, the same number he hit between 2015 and 2017 combined. Looking at his batted ball profile, Peraza increased the number of fly balls and line drives he hit and converted eight percent of his softly hit balls into hard-hit ones. A decreased swinging-strike rate and increase zone-contact rates indicate that his improved average could sustainable as well. Owners shouldn’t count on Peraza for 14 home runs again, but he could hit 8-10 while providing 25 steals. Taylor came out of nowhere in 2017 and posted 21 HR, 17 SB in 140 games with the Dodgers. He was unable to repeat in 2018, falling off across the board. His swinging strike rate jumped from 10.8 to 13.7 percent, leading to a horrid 29.5 percent strikeout rate. His contact rate also fell by six percent. The change in approach led to a massive dip in his slash line from .288/.354/.496 to .254/.331/.444. He did manage to hit more fly balls and increase his hard-hit rate, but the results didn’t translate, as he hit just 17 home runs. With top prospect Alex Verdugo clamoring for a roster spot, Taylor will need to revert to his old approach or hope that Joc Pederson gets traded if he wants a regular starting position. Torres isn’t a bad player. But similar to Javier Baez, Torres is a regression candidate and is being overdrafted at his current ADP. Torres hit .271 with 24 HR and 77RBI in 123 games last season. Those are excellent numbers, but there’s a chance he won’t be able to repeat it. The 24 home runs Torres hit in 2018 were equal to the total number he had hit in his career to that point. Yes, prior to being called up, Torres hit 24 total home runs in 373 minor league games. Of course, Yankee stadium helped inflate the power numbers, but it’s hard to spend a top-50 draft choice on a second-year player who managed to make such a jump. In addition, Torres’ plate discipline should worry his owners. His 14.1 swinging strike rate is 21st among batters with 400 plate appearances. For context, Chris Davis, the king of swing and miss, has a swinging strike rate of 14.2 percent. Among the 214 batters with 400 or more plate appearances, Torres ranked 197th in contact rate. There’s a lot of swing and miss in his game and could lead to a disappointing sophomore season if he doesn’t adjust. Villar is still the same player that disappointed owners so thoroughly in 2017 and the first half of 2018. So why is he being drafted in the top-100 after moving to one of the worst teams in the league? At best, Villar is a two-category player, helping owners in runs scored and steals. However, he’s an absolute ratio killer who won’t provide much in the way of RBI. He nearly reached 20 home runs in 2016 but he didn’t come close to reaching those heights after being benched and traded in 2017 and 2018 respectively. When looking for someone to boost your runs and steals, the player needs to get on-base regularly to have a chance. Villar has struggled with that at times and will continue to struggle if he keeps striking out at a 27% clip. Owners drafting him to be a starter are forgetting how awful he was in 2017 and in the first half of 2018 with the Brewers. Villar is a high-risk, high-reward pick for owners who can stomach his peaks and valleys but there’s a lot of risk at his current ADP. 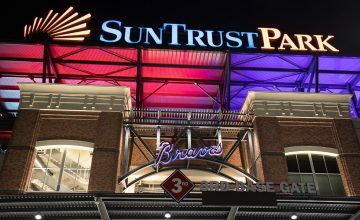 The son of 11-year MLB veteran Fernando Tatis is ranked as MLB.com’s No.2 prospect. The knock against Tatis Jr. for Fantasy purposes is that he’s yet to play a game above Double-A and had his 2018 season cut short due to a fractured thumb. Regardless of experience, Tatis’ raw tools and pedigree have made him a must-own prospect in keeper and dynasty leagues. Such is the life of an MLB prospect. When Tatis is called up he will provide owners with a solid mix of power and speed. At 18-years old, Tatis became the youngest player to post a 20-20 season in the Midwest League. He may face an adjustment period when he gets the call, but Tatis’ minor league career showed he is quick to make adjustments, slashing .327/.404/.571 in May after hitting .177/.231/.333 in April. Another second-generation prospect makes the list as the son of former All-Star Dante Bichette and will likely make his debut with the Blue Jays in 2019. Bichette is MLB.com’s No.11 prospect and has one of the best hit tools in the minor leagues. Bichette’s powerful swing generates plenty of line drives, which will help him maintain a good average. He does have some raw power, as he won the Under Armor All-American Home Run Derby last season. However, the 20-year old has not been able to put it into game situations yet as he has a career high of just 11 HR. Bichette brings speed to the table as well, stealing 32 bases in Double-A last year. The Blue Jays’ second-round pick will likely be in the minors longer than his teammate and friend Vladimir Guerrero Jr., but will get the call to the majors at some point this season. When he does get the call, Bichette would provide at least a good average and decent speed. If he hits in front of Guerrero, he’ll score a ton of runs as well.